In spite of Singapore’s lower ranking vis-a-vis Hong Kong in the latest Bloomberg Best Countries for Business survey, Singapore company registration specialists Rikvin is confident that the Republic is positioned to attract more businesses that value lower rental rates, cleaner environment and tax rebates for making their way up the productivity value chain. Bloomberg’s Best Countries for Business survey evaluated 160 markets along six categories namely the 1) costs of setting up business, 2) hiring and moving goods, 3) the degree of economic integration, 4) costs of labor and material, 5) less tangible costs and 6) the readiness of the local consumer base. Hong Kong, which came first in the list, scored higher than Singapore on all fronts. However, company registration specialists Rikvin has recognized three crucial factors that continue to compel entrepreneurs and firms to form a Singapore company, namely 1) lower office rental rates, 2) cleaner environment and 3) the tax rebates offered through the Productivity and Innovation Credit (PIC) scheme. Prime office rental rates has consistently been lower in Singapore than in Hong Kong. Knight Frank’s recent study has demonstrated that Central Hong Kong has superceded London’s West End for having the highest prime office rental rates worldwide in 2011. Colliers International’s H2 2011 Global Office Demand Growth survey has also affirmed this trend. The survey showed that Hong Kong offers the most expensive net rental rate for Class A office spaces not only in Asia, but globally. As of December 2011, the rate for Class A office spaces was US$178.34 per square feet. In comparison, office space of the same quality in Singapore cost almost a third of that during the same period. At US$65.81 per square feet, prime office space in Singapore offers both startups and MNCs immense cost savings. A beautiful office space is nothing if the tenant cannot enjoy the view. Hong Kong is notorious for its persistently poor air quality. According to a recent report by Civic Exchange, the Region’s air pollution levels is responsible for over 528, 000 hospital bed days and over 49 million medical visits since 2005. The city is only beginning to chart a new roadmap to improve its air quality in the face of rising criticism by academics, businesses and international bodies like WHO. Singapore, on the other hand offers high air quality compared to Hong Kong and other cities in the region. Sources of air pollution has long been well-regulated in Singapore and the government has enforced minimum emission standards under the Environmental Protection and Management (Air Impurities) Regulations in 2000 to ensure that air remains clean and safe in Singapore. Furthermore, the Singapore government’s recent announcement of a S$75 million injection to support agencies including the Singapore Green Building Council and the Waste Management and Recycling Association over the next four years is a testament to Singapore’s commitment to maintaining high environmental standards for its residents. In gist, the Productivity and Innovation Credit scheme allows firms enjoy tax rebates or cash payouts when they move up the productivity and innovation chain.The updated scheme grants every Singapore firm a 400% tax deduction or a 60% cash payout option when investments are made in six productivity-enhancing and innovation activities per annum. This in turn means that Singapore firms that plan their productivity and innovation strategies ahead of time could potentially reap up to S$9.6 million in tax savings on their annual taxable income. Further analysis by Rikvin shows that the World Bank has ranked Singapore as the Easiest Place to do Business for six consecutive years. 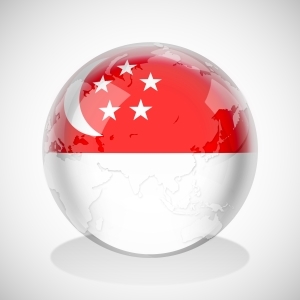 As discussed in a recent analysis of EIU’s ranking, Singapore is the world’s third and Asia’s most competitive city due to its ability to attract businesses, capital, talent and tourists.